When filing a claim for exposure to herbicides during active military service, the veteran must also claim a service connection from that exposure tied to a current medical condition, disease, or disability. What herbicide agents are covered? Agent Orange was a mixture of 2,4-D and 2,4,5-T. Other herbicides used as defoliants (agents Pink, Green, Purple, White and other versions of Orange were also a mixture using 2,4-D, 2,4,5-T, or both. Agent Blue herbicide used a mixture containing cacodylic acid. “Enhanced” Agent Orange used the standardized mixture of 2,4-D and 2,4,5-T combined with the oil-based mixture of picloram. What is proof of service in Vietnam? What if my service was in a location other than the Republic of Vietnam (RVN)? Exposure to herbicides in locations other than the RVN must be “established on a factual basis.” This means the burden of proof is on the veteran to establish the service connection. This burden of proof can be established through medical evidence, competent lay evidence, or both. 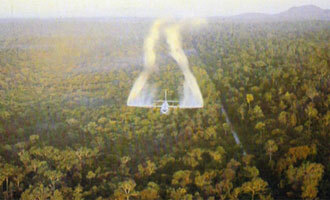 Competent lay evidence can be the veteran’s personal statement of in-country service when claiming exposure to herbicides during naval or aviation service in the Republic of Vietnam (RVN), or at other locations. Lay evidence can also include statements or letters from fellow service-members, friends, or family, and should include relevant facts of the veteran’s disability based upon his/her personal observation(s). Photographs and newspaper articles have also been used successfully as evidence. What is the time period considered for exposure to Agent Orange? The time period for presumed exposure is January 9, 1962, to May 7, 1975. There is no length of service requirement for service members who were in country in Vietnam. Even a few hours is qualifying. I served during the Vietnam War in Thailand. How does Agent Orange compensation affect me? The VA Web-Automated Reference Material System (WARMS) Manual, M21-1MR, Part IV, Subpart ii, Chapter 2, Section C details the locations and military occupational specialties that are considered for exposure to herbicides in Thailand. The manual also has a copy of the Memorandum for Record used by the VA in claims that do not match specific locations or military occupational specialties listed in the manual. Outside of the service of locations for the presumptive diseases, VA adjudicates claims for service and exposure in other locations, include Thailand, on a fact-based, case-by-case basis. There have been successful appeals of VA denials of claims arising out of service in Thailand, most recently in a case decided in April 2014 (Citation Nr: 1418202, Decision Date: 04/23/2014). I served along the Demilitarized Zone (DMZ) in Korea. 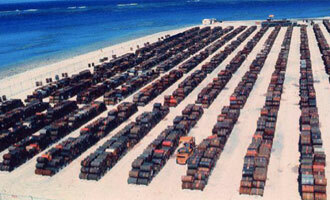 How does Agent Orange compensation affect me? If a veteran believes he was exposed to Agent Orange or other herbicides in Korea, the service must have occured between April 1, 1968 and August 31, 1971. Service also must have occurred in a unit (identified by the Department of Defense and the VA) as in or near the Korean DMZ between those dates. Are the children of Vietnam veterans eligible for compensation benefits? In or near the Korean DMZ between April 1, 1968 and August 31, 1971 – veterans are presumed to have been exposed to herbicides in this time period. The birth defect must have resulted in a permanent physical or mental disability. Covered birth defects do not include conditions due to family disorders, birth-related injuries, or fetal or neonatal infirmities with well-established causes. In addition, the level of disability takes into account the limitations on cognition, communication, motor abilities, activities of daily living, and employability. The VA provides compensation, limited health care benefits, and vocational training for eligible children of Veterans exposed to the herbicide. VA benefits are provided through the authority of existing law and regulations, including 38 USC 1804, 38 USC 1805, 38 USC 1815, 38 USC 1821, 38 CFR 17.900 and 38 CFR 17.901. As with other VA benefits, all eligibility criteria must be met. There are several research studies about Vietnam Era Veterans’ exposure to herbicides, including Agent Orange, by The Department of Veteran Affairs(VA), Centers for Disease Control (CDC), and The Institute of Medicine (IOM). Another excellent source of information about Agent Orange is the U.S. National Institutes of Health’s PubMed, which can be found here. Are civilians eligible for Agent Orange compensation from the VA? 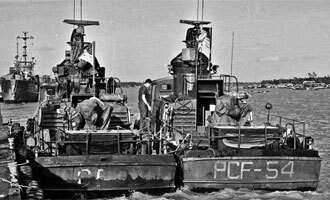 An estimated 72,000 to 171,000 civilians were in Vietnam supporting the U.S. war effort there, despite not being part of the military. These include those who worked on behalf of the U.S. government in Vietnam, members of the Red Cross workers, USO workers, members of the media, among other occupations. Some of these individuals have suffered many of the same types of illnesses as service members who were exposed to Agent Orange and other herbicides. There is no current system in place by the U.S. government to acknowledge or address claims by non-military personnel in Vietnam. There are situations in which civilians may be entitled to compensation because of exposure to a particular hazard, but this is not the case with Agent Orange. Some civilians who worked at military bases may have had an limited opportunity to file a claim with the Department of Labor, essentially a workers’ compensation claim, through the Defense Base Act of 1941. This act covers bases overseas, but the claim must have been filed no later than one year from the date of the injury — too late for civilians who experienced diseases or illness for the first time decades after initial exposure. What happened to C-123 aircraft?